Ships today if you order in the next 14 hours 56 minutes. As you get older, there are different factors that may negatively affect your overall health and wellness. For a number of men, the aging process may have negative effects on prostate health and function. 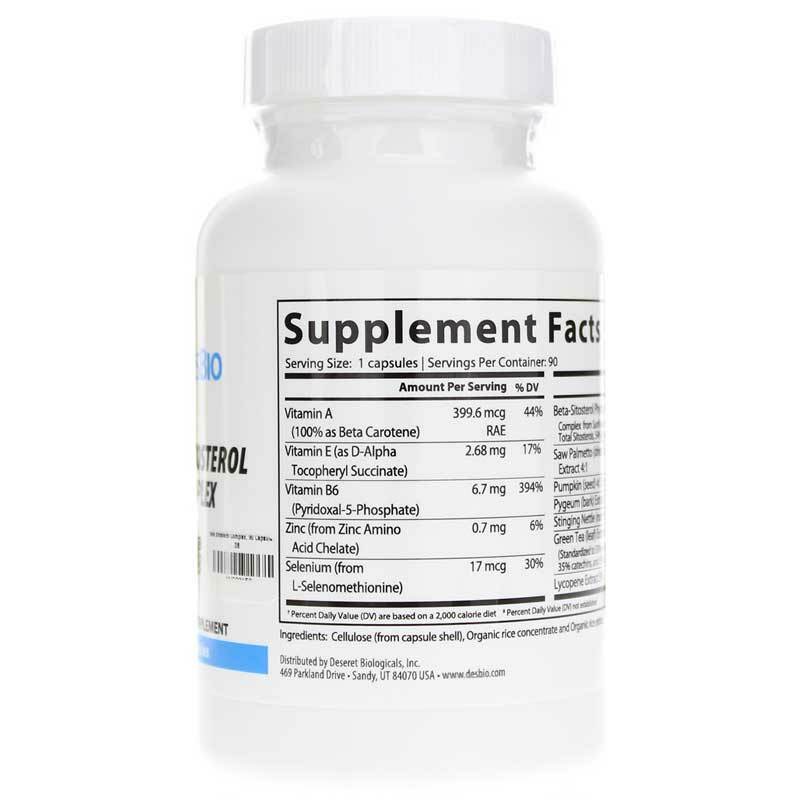 If you've been searching for an all-natural way to support and maintain your prostate health, DesBio offers a great product option. 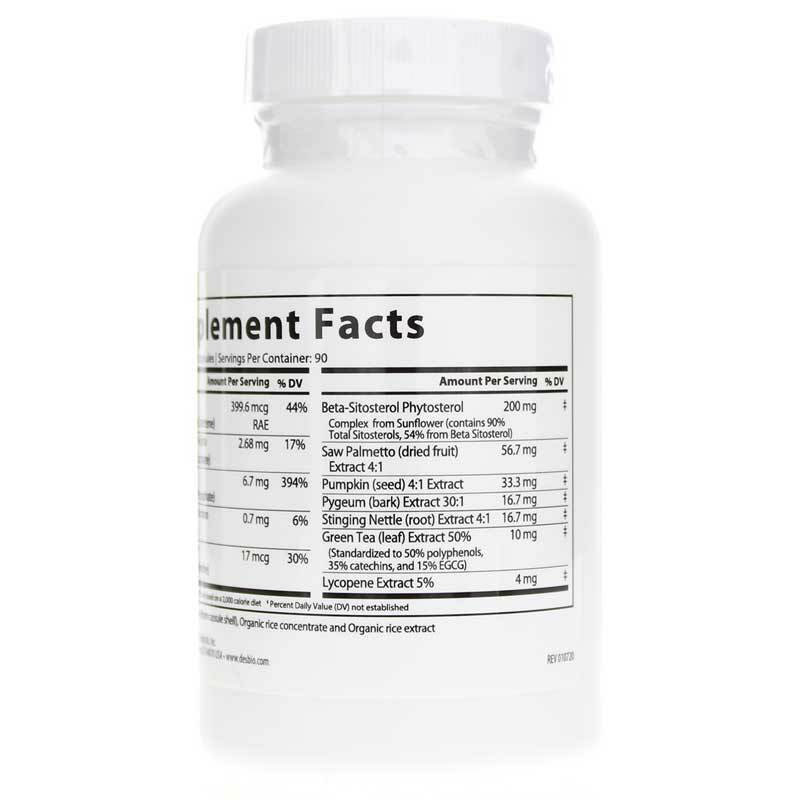 Beta Sitosterol Complex is a dietary supplement that promotes prostate health and function with essential nutrients, as well as botanical ingredients. 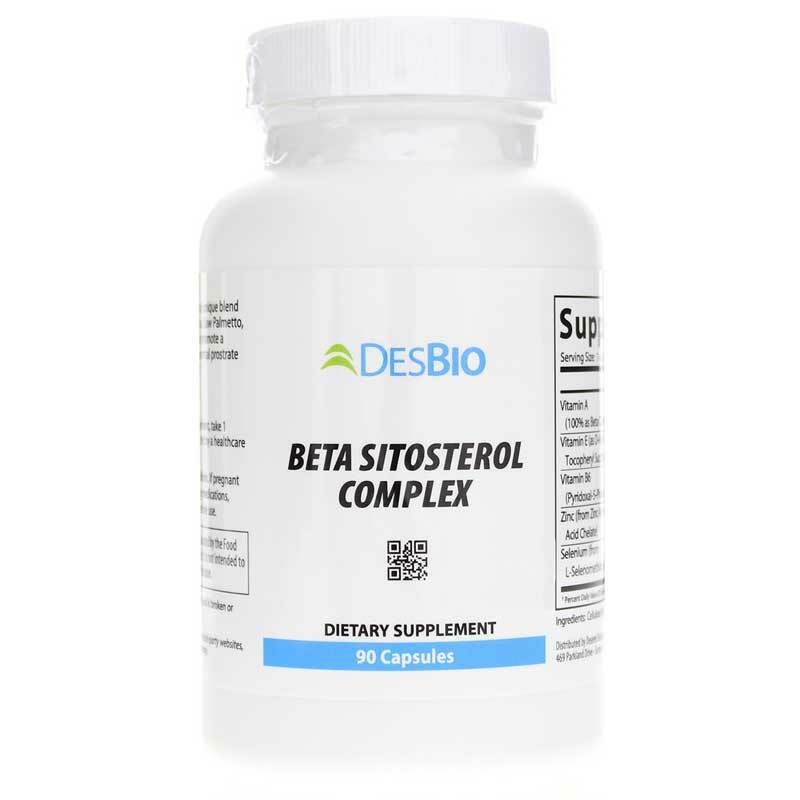 DesBio's Beta Sitosterol Complex comes in a capsule form that is easy for adults of all ages to swallow. One capsule three times every day may help keep you on the all-natural pathway toward optimal overall health and an increased sense of overall wellness. Order yours now! Other Ingredients: rice flour, capsule (gelatin), magnesium stearate, silicon dioxide, modified food starch, corn starch. Adults over 18: Take 1 capsule 3 times a day or as recommended by a healthcare professional.